Crayola retired the color Dandelion on March 30, 2017 and replaced it with Bluetiful later in September 2017. This 4 count box was a special commemorative box they produced to say goodbye to Dandelion. I think they gave them out at Target. I missed the box, but luckily someone sent me one. 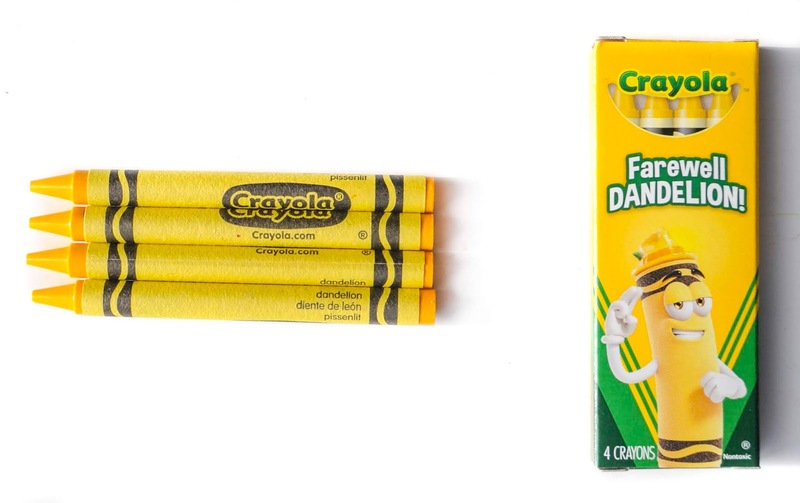 Boxes: 4 Count Crayola Farewell DANDELION!